Emergency planning is mainly relevant to the public sector but all business continuity managers need to keep up-to-date with developments in this area. 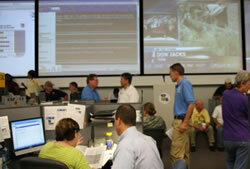 Business continuity plans should always take the local emergency planning situation into account. A new paper from the Emergency Planning College looks at the creation and publication of disaster risk assessments. Never miss a news story: signup for our free weekly email newsletter.